So How much does it Cost to renovate a Kitchen in NZ? When determining how much it costs to renovate a kitchen in NZ, some things to consider are the resale value of other homes in your neighbourhood, how long you plan to remain in your home, and your personal financial situation. These factors will be unique to you based on your personal situation and where you place the most value. The extent of renovations can determine the cost of your renovation in Auckland. 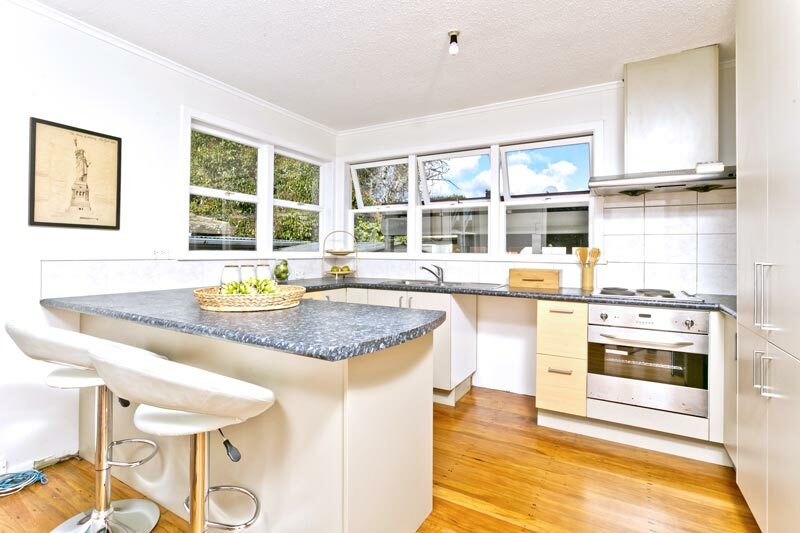 Kitchen Renovation costs in Auckland can be determined by the following factors. You could keep all the walls intact and just replace the appliances, cabinets, and flooring. Depending on the size of your kitchen, where you live, and the types of finishes you use, this type of kitchen renovation typically costs between $5k (basic alterations) to $10K. You could remove the built-in pantry closet and replace it with a pantry cabinet, shift the fridge down to widen your walk space, and add recessed lighting in addition to replacing the appliances, cabinets and flooring. Now your kitchen renovation will cost between the range of $10k (basic kitchen renovation) -$20k, depending on the materials you select. This project was done in Greenhithe by Superior Renovations. Our client wanted to expand the kitchen. Hence we pulled down the wall between the dining room and the kitchen in order to make the kitchen more wide. We also replaced the counters, and built new cupboards to give the kitchen and spacious and airy look. This project we completed in Takapuna needed 5 walls pulled down. The dining area, lounge and kitchen were three separate rooms. Each of them was a tiny room with hardly any room to walk around. In the end we pulled down the walls to create a spacious living space. Have you tried our Kitchen Renovation Cost Calculator?